The summer holidays are only a week away here in England (six weeks of no school), but as we are close to moving house, we have not booked to go away. Since the beginning of our marriage we have spent a week or two camping every summer. With the purchase of a trailer last year, and with our two Quechua ‘pop-up’ tents, we have this down to a fine art. Sometimes we also travel by train a few hundred miles to visit my parents, hiring a car when we get there. 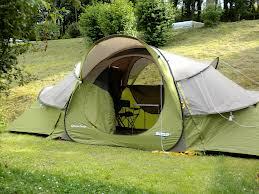 …and a tent like this for our sleeping area. This isn’t an ad for tents, but these are superb. Made by a company called Quechua they combine good engineering with practicality. 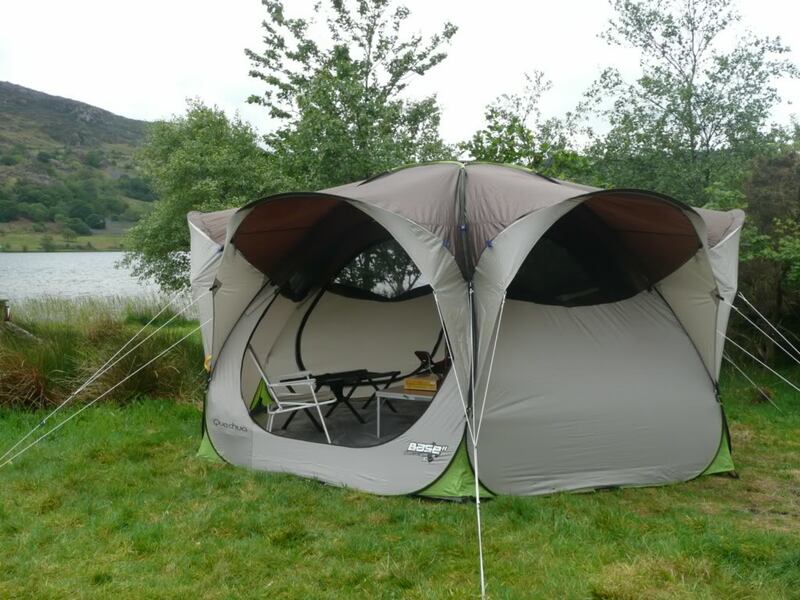 They are literally ‘pop-up’ tents and take minutes to erect, which is very handy if you’re dealing with the highly unpredictable British weather! Little Chip (youngest child) is booked to do a Dance Summer School for a week and a week of Sports Camp at the sports centre. Fluff (middle child) is booked for two weeks of Sports Camp. Prince (eldest) is booked to go to his grandparents for a week or so. We’re going to have plenty of things that won’t cost a lot, too. I have quite a few craft activities lined up for the inevitable rainy days, as well as activities from the book Ripping Things to Do by Jane Brocket. My girls want to build a treehouse in our new back garden. I plan on setting up the tents and letting them sleep in the garden with some friends. We’ll have a barbecue or two. We have English Heritage membership so we’ll visit local English Heritage sites. English Heritage membership allows us to take along up to six children at no extra cost! If we take our gorgeous picnic basket and thermos flasks we have a nearly free outing. We make very good use of this membership, plus they do a very good job of conservation. We’ll travel by train to two nearby cities for day trips. In this instance our Family and Friends Railcard will come in very handy. No doubt Chip will want to go window shopping for shoes (she’s a very girly girl), and Prince will want to go to the electricals shop for hours on end, to look at all the gadgets, especially his beloved radios… We’ll go swimming at the local pool and afterwards picnic in the adjacent park. Picnics are easy if you’re already used to making packed lunches for school. No hassle whatsoever. Do you have any plans for the summer? Do you have plans that are eco-friendly or do you think your holidays are your environmental Achilles’ heel?